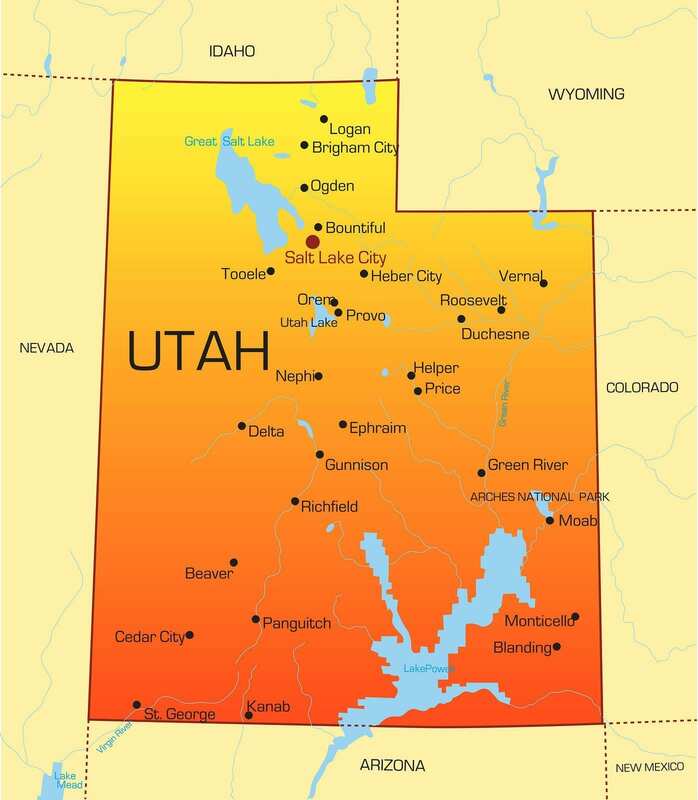 Licensed Practical Nurses (LPNs) are vital members of health care teams in Utah’s communities. They work at healthcare facilities, such as hospitals, residential long-term care facilities, clinics, homes, extended care facilities, government offices, and physicians’ offices. LPNs provide direct care to patients under the direction of a registered nurse and/or physician, performing duties such as taking vital signs, assisting patients with daily activities, dressing wounds, observing patients, and administering medication. The in-demand career promises numerous rewards and opportunities for advancement. However, prospective LPNs must have a sincere interest in caring for others, possess sound judgment and critical thinking skills, and display a professional attitude at all times. The Arizona State Board of Nursing sets guidelines for nursing licensure and practice in Arizona. They evaluate licensure applications, administer the licensing exams, and ensure licensed nurses operate within the ethical and legal guidelines for the profession. The Practical Nursing program at Arizona’s colleges provides the theory, laboratory and clinical experiences students need to become entry-level practical nurses. The classroom instruction guides the clinical practice where students acquire hands-on experience by providing nursing care to patients of all ages, cultural diversity, and states of wellness in hospitals and other health care facilities. The clinical experience also affords students the opportunity to observe first-hand the behaviors that are vital to their employment at health care agencies. Before enrolling in a program, you’ll need to meet the eligibility requirements and complete the prerequisite courses. Common requirements for entry include a high school diploma or GED, criminal records check, immunization, reference letters, and attendance at an orientation session. The program may also require applicants to pass an entrance exam, provide a CPR card, and complete prerequisite courses, such as human anatomy and physiology, general biology, microbiology, college composition and fundamental chemistry. Course modules include nursing assistant, health care fundamentals, practical nursing concepts, pediatric nursing, maternal-neonatal nursing, patient care, transition to practice, geriatric nursing, and NCLEX-PN preparation. The clinical portion of the program will require students to perform various physical activities, which will include lifting patients, bending, and standing for several hours at a time. Students must be prepared to meet the mental, physical, and emotional stress as they undertake the responsibilities in preparation for employment. Upon completion of the program, students are eligible to take the NCLEX-PN examination to obtain licensure as a practical nurse. There are 22 Board-approved programs in Arizona. You should compare schools based on duration, tuition, and success rate as determined by the NCLEX pass rates. Remember that graduation from the program is no guarantee that you’ll qualify for licensure to practice nursing. The AZBN reserves the exclusive right to determine an applicant’s eligibility. Nursing graduates must satisfy the requirements of the Nurse Practice Act and pass the NCLEX-PN to obtain a license to practice in Arizona. Duration and Cost of Training: Nursing education programs are 11 to 18 months for full-time students. There are several fast-track options in Arizona that you can complete in 8 to 10 months on a full-time schedule. Part-time programs are longer – up to 2 years and will cost more in the long run. The average cost of tuition is $15,500 not including textbooks, uniform, shoes, lab supplies, immunizations, admissions fee/exam, criminal background check, CPR, and toxicology screening. Additional fees include health insurance and tuition for prerequisite courses. Financial aid is available through federal and private loans, scholarships, and grants. Every nursing graduate must pass the NCLEX to become a licensed practical nurses in Arizona. While the student may agonize over the test, a thorough understanding of the design and scoring will help instill a sense of confidence. In addition to passing the test, candidates must apply for licensure through the Arizona Board of Nursing after completing an accredited nursing program. The Board must approve the candidate’s eligibility to take the NCLEX as part of the initial licensing procedure. After the AZBN deems you eligible to take the exam, you will receive the Authorization to Test (ATT) from Pearson Vue so you can register to take the exam. The ATT remains valid for 90 days; you must schedule and take the exam before the authorization expires. An extension is not available. Under normal circumstances, the ATT will arrive via email within two weeks of registration – provided that you submitted your application to the Board. The NCLEX is a computerized test that uses computerized adaptive testing (CAT) to determine your competency to provide safe and effective nursing care. Each question is based on your response to the previous question as the exam continually adjusts to align with your ability. The result is that every candidate will have a unique exam. Also, since each new question depends on the one before, you should not skip questions. The test results are not available immediately. The AZBN will notify you if you pass the exam. Results are available within 48 hours, but it could take up to six weeks to receive official results. If you fail the exam, you will receive a Candidate Performance Report (CPR) that will outline your performance in different areas of the test. Analyze the report for your strengths and weaknesses to prepare to retake the test. You may retake the exam as many times as it takes to pass, but you must wait at least 45 days between exams. You must reapply for licensure ($100) and register to take the test again ($200). An individual who intends to practice and assume the title of a licensed practical nurse must file a verified application for licensure along with the prescribed fee. The Arizona Board of Nursing shall furnish the license, providing that the applicant is a graduate of an approved nursing education program and has obtained an absolute discharge from sentences if convicted of one or more felonies. Applicants for licensure by exam must successfully pass the NCLEX-PN within two years of completing the nursing education program. Those who fail to pass the exam within the prescribed period may need to complete additional education requirements to qualify for licensure. 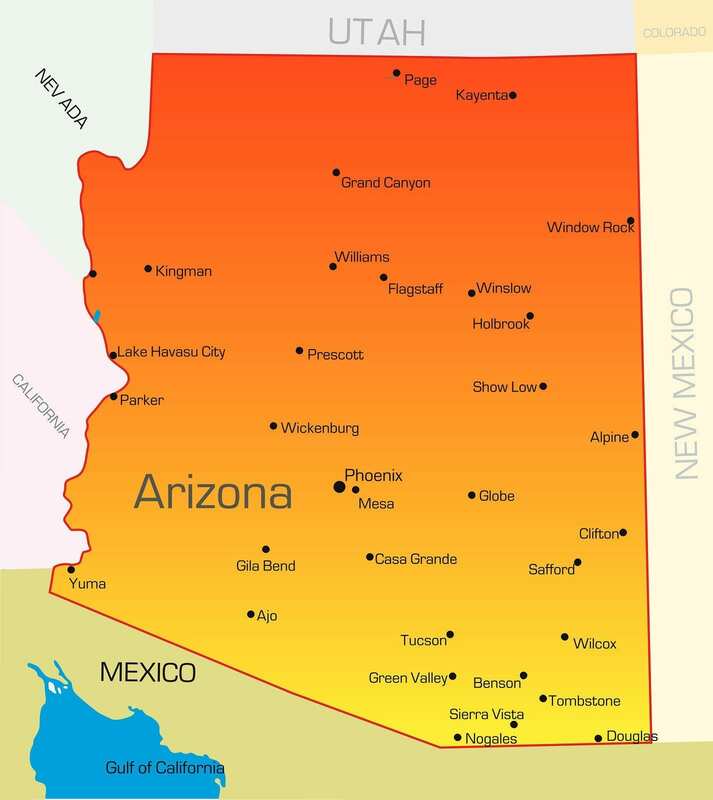 Arizona is a compact state. Therefore, any applicant whose primary residence is another compact state cannot apply for licensure in Arizona unless declaring AZ as the primary state of residency. Submit a completed licensure by exam application. Answer all required questions and mail to the AZNN. (Do not fax or email the document). Include the non-refundable application fee of $300 plus $50 for the fingerprint fee. Fees are payable using a credit/debit card, using authorization form or personal checks pre-printed with the applicant’s name/address and payable to AZBN. Register for the NCLEX by going to Pearson Vue online or by phone 866-496-2539. Request a certificate of completion from the nursing education program if you graduated from an AZBN approved school. The institution should send the certificate directly to AZBN. Request an official transcript (sent directly to the Board) if you graduated from an out-of-state program. Enclose a copy of documentation related to your citizenship/nationality/alien status. Submit the document on an 8.5 x 11 sheet of plain white paper. Acceptable documents include AZ driver’s license, a birth certificate, a signed US passport, Certificate of Citizenship, Certificate of Naturalization, a tribal certificate, etc. Submit a full set of fingerprints for state and federal criminal record checks. The AZBN will mail the card to your provided address after you submit the application. If you answer “yes” to the criminal history questions, provide a written explanation of the details of each conviction, a copy of the police report and court documents, indicating the type of conviction and date – must also include the date of absolute discharge of the sentence for each felony conviction. The AZBN would deny licensure if you did not receive an absolute discharge five or more years prior to the date of filing an application. The AZBN has 1 to 2 months for processing applications for licensure. Therefore, the optional temporary license is usually not necessary unless your fingerprints have been rejected, and you already pass the NCLEX. Applicants for licensure must inform the Board of criminal charges within 10 days of being charged. Visit the AZBN website and go to the License Verification tab to check the status of your application. The Board will send a deficiency notice if your application is incomplete. If you fail to complete the application within one year, the application will be withdrawn, and you would need to submit a new application and fee. If you’re licensed in another compact state and wish to declare Arizona as your primary state of residency, you may practice using your multi-state license until AZBN issues a new license. If you’re licensed in a non-compact state and wish to practice in Arizona, you need to apply for licensure by Endorsement. A completed paper Endorsement Answer all questions and mail to the AZBN – address provided below. Include the non-refundable application fee of $150 plus $50 for the fingerprint fee. Fees are payable using a credit/debit card, using authorization form or personal checks pre-printed with the applicant’s name/address and payable to AZBN. The fee for the optional temporary license is $50. Verification of your original state of licensure using Nursys or the License Verification Form. Proof of citizenship/law presence documentation on a plain white5 x 11 sheet of paper. A full set of fingerprints for a state and federal criminal records check. You must use fingerprint cards provided by the AZBN only. Provide evidence of at least 960 hours of nursing five years prior to the application for endorsement or graduation from a nursing program within the same timeframe. If you cannot meet these requirements, you must complete an approved refresher course before applying for endorsement. You may be eligible for an optional temporary license if you meet all the requirements for foreign or US educated nurses, submit a complete application and fee, and did not answer “yes” to the questions relating to felonies and disciplinary actions. You must request the temporary license and pay the accompanying fee. Processing a request for a temporary license can take up to two weeks – an emergency (48-hour) option is available. All temporary licenses are valid for six months. Arizona LPN licenses expire every 4 years. The AZBN encourages online renewal before the license expires. Online renewal may be processed in just 24 hours compared to paper renewals, which can take up to 30 days. If you’re on probation, suspended, inactive or retired, submitting volunteer/private duty hours, and answer yes to the disciplinary questions, you must write the AZBN to request a paper application and include a self-addressed stamped envelope ($0.90). The renewal fee is $160 plus an additional convenience fee of $3.00 for online renewals. There’s a late fee of $50 per month up to a maximum $200 for late renewals. License holders must complete a minimum 960 hours of practice during the cycle or complete an approved refresher course to be eligible for renewal. A 2014 survey conducted by the National Student Nurses Association and commissioned by the Arizona Board of Nursing revealed a positive outlook for nurses, especially for BSN prepared nurses. According to the predictions, Arizona’s nursing workforce will account for 2.1% of the national job growth, which amounts to 1,100 new nurses per year. The last decade saw highs and lows with the recession having some impact on employment for nurses. As of 2014, the survey reveals that demands increased, so new graduates should be optimistic about employment within 3 to 8 months of licensure. Demands will remain steady in response to needs of the aging population, long life expectancy, and the need to fill vacancies left by the retiring workforce. Over 85% of Arizona’s LPNs work in long term care facilities as hospital employers have a decided preference for baccalaureate degree educated nurses. Due to budget constraints, home health care agencies and nursing homes are partial to LPNs to assist residents with the activities of daily living and other responsibilities. In the long term care setting, LPNs may also supervise CNAs and new LPNs. In the study, the supply and demand estimates suggest that Arizona nurses, in general, are well positioned for the future as the supply of nurses seems to be on par with the estimated demands. LPNs in Arizona earn a median annual salary of $38,452, which is 12% lower than the national average. where was all this help when I needed it! could’ve used it back in the day! I was told most hospitals are no longer hiring LPNs… Is this accurate? Don’t waste your time. Go to school for your RN. Hospitals don’t hire LPN’S anymore. Some of these statements are ridiculous. There’s nothing wrong with working home care or long term care. It is an honor and a privilege to be a nurse! There are still some hospitals that have LPN’s…Not many, but some! You make your career! I have been an LPN for 20 years and I’ve worked acute care, ltc, home care and now I teach.